Accounting seminars and conferences can help you to learn about the latest developments in accounting technology and make your practice more effective. There are many accounting conferences in 2018 and 2019 from which you can choose, allowing you to plan ahead to attend accounting conferences next year if you missed your favorite accounting conferences in 2018. Here are some of the accountant professional conferences that are scheduled during the rest of 2018 and next year. The American Institute of Certified Public Accountants Women’s Global Leadership Summit is scheduled for Nov. 14 to Nov. 17, 2018. The summit will be held in New York City, and you can choose to attend onsite or online. The price for attending the full conference online or in person is $1,270 if you pay before Sept. 30. After that date, the price will be $1,345. The summit will feature successful women in accounting firms, academia, the government and big business. The American Institute of Certified Public Accountants Engage 2019 conference offers another opportunity for you to network with others in the accounting industry and learn from thought leaders. You also will have the opportunity to exhibit if you wish. The conference is scheduled from June 9 through 13 at the MGM Grand in Las Vegas. If you unable to attend in person, you can also attend it online. There will be more than 250 sessions that give you the opportunity to earn up to 35 CPE credits. The cost of an all-access pass, which gives you access to both the online sessions and the live accounting conference in 2018, is $2,295. The American Institute of Certified Public Accountants Forensic & Valuation Services Conference 2018 is scheduled for Nov. 5 through Nov. 7, 2018. The event will be held in Atlanta, Georgia and will offer you the ability to take an in-depth look at the areas of forensic accounting and valuation. You can choose to attend in person or online. After Sept. 21, registration costs $1,695. You can earn up to 20 CPE credits by attending this accounting conference in 2018. The 2019 American Accounting Association Annual Meeting will be held from Aug. 9 through Aug. 14, 2019, in San Francisco, California. You can take advantage of the early bird registration discount by signing up before June 28, 2019. The topics that will be covered at the annual meeting have not yet been detailed, but they should allow you the opportunity for career advancement and growth. The ASTPS Taxpayer Representation Super Conference in 2018 is scheduled for Oct. 18 through Oct. 20 in Las Vegas, Nevada. The event will allow you to learn about effective tax resolution strategies from practitioners throughout the country. You can earn 18 CPE credits by attending this accounting conference in 2018. If you register before Oct. 4 and are not a member in the ASTPS, the cost of the conference will be $997. If you register after Oct. 4, the regular cost is $1,097. The 111th Annual NASPA Meeting is scheduled for Oct. 28 to Oct. 31 in Scottsdale, Arizona. The cost to attend is $695. The tentative agenda includes many different topics, including legal updates so that you can keep current with the accounting industry and the laws that govern your practice. The Intuit Quickbooks Connect 2018 is scheduled for Nov. 5 through Nov. 7, 2018, in San Jose, California. The event will give you the opportunity to learn from some of the most successful people in business. The featured speakers include actress and author Mindy Kaling, former baseball star and current CEO of A-Rod Corp. Alex Rodriguez, and others. The accounting professional pass to attend the event is $399. The AccountExUSA 2019 event is scheduled for Sept. 5 to Sept. 6 in Boston, Massachusetts. At the expo, you will be able to meet with more than 100 exhibitors and choose from more than 50 breakout sessions. Attending the expo will help you to gain new skills to enrich your accounting practice. An expo pass costs just $49, and you can earn up to 23 CPE credits. The Sage Summit is an ongoing series of events that are held and attended around the globe. You can check on the website to find a Sage event near you. These events provide you with the opportunity to learn from thought leaders so that you can optimize your practice. The Institute of Internal Auditors International Conference is scheduled for July 7 through July 10, 2019, in Anaheim, California. The conference will give you the ability to network with internal auditors from around the world and to learn about the latest issues that might impact the accounting industry. Bento for Business offers accounting firms the Bento provides debit cards for accountants. These cards allow you to keep your firm’s spending under control and to manage your expenses. The cards are not accountant credit cards and are not linked to revolving lines of credit. 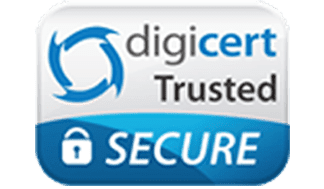 They give your firm the flexibility to make purchases or payments when they need to be made instead of waiting through long approval processes. The cards also have features that allow you to place restrictions on each card to the spending categories that you choose. You can also set spending limits by the day or week and turn the cards off when your employees are off from work. Attending one of these accounting conferences in 2018 or in 2019 can help you to grow your practice. 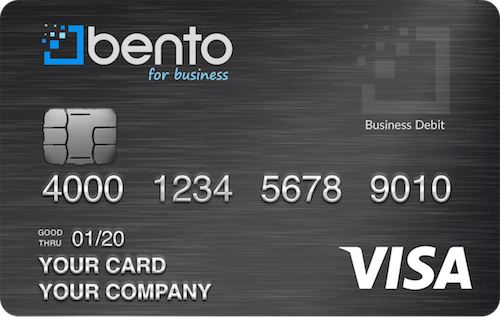 Bento for Business is a company that offers debit card solutions to businesses. The company has earned a terrific reputation and has a perfect rating from Capterra. Thousands of accounting firms and other businesses across the U.S. are loyal customers of Bento for Business. Bento offers a free 60-day trial so that you can try your cards to find out how they will work for your firm. The cards are Visas and can be used to make purchases or payments at most businesses in the U.S. To learn more about the benefits that Bento for Business can offer to your accounting practice, call us today at 866.220.8455.